I had the honor of reviewing Oliver Sacks’ newest book, HALLUCINATIONS, for the Nov. 4 edition of the Minneapolis StarTribune. You can read my review here. In short, it was a delightful read. Though I found myself, through the power of suggestion, occasionally seeing things or hearing things that were not there! 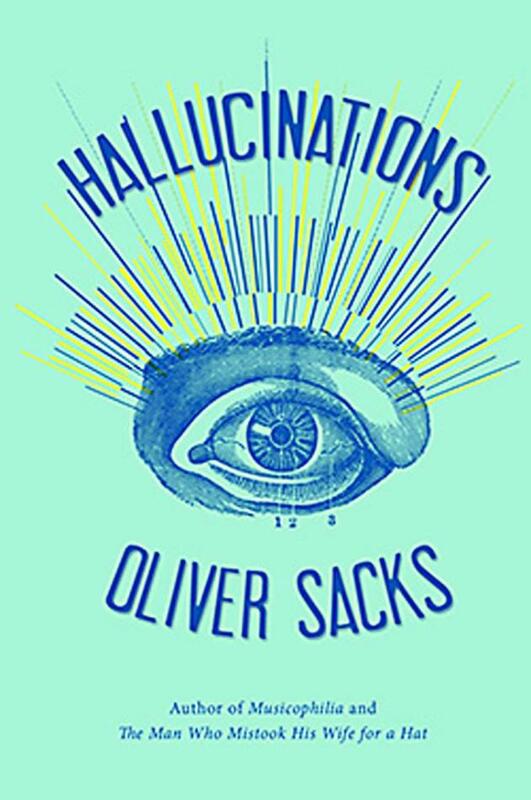 Sacks points out that hallucinations are far more common than we may think. Do you have any personal stories of experiencing hallucinations? GREAT review! Nope, never had hallucinations. I have enjoyed many of Oliver Sacks’ books–I think he has given the world a great gift by beginning to unravel the prejudice that neurological disorders are synonymous with “craziness.” (There’s still a long way to go, however, as there always will be a long way to go in fighting the human tendency to dehumanize anyone different from oneself). But I am finding the most recent of his books less thoughtful than earlier works (not less compassionate or informative–he’s both of those, but in terms of writing style, less enjoyable for me, a little more formulaic and predictable). Have you read his earlier works (ie–the man who mistook his wife for a hat? or Uncle Tungsten?). I haven’t read this one and will definitely seek it out, because even when his books are less satisfying than my first encounters with his writing, they’ve still been worth the time invested. Tracy, I read “The Man Who Mistook His Wife for a Hat” before I read “Hallucinations.” Since I read them so close together, I could definitely see him using the same “m.o.” so to speak. In “Hallucinations” he may have relied more on people telling their own stories, whereas in “The Man…” he was relaying stories of people who, for the most part, were his patients. This book is worth the read. I hope you get it! On your recommendation, I will read it. Oh man, this may end me up in the psych ward for admitting, but one year during deer hunting season, I looked out my front window (I live in town) and saw, for a split second, the image of a huge deer, a buck with at least 8-point antlers. When I blinked, it was gone. So yeah. I’m buying this book. Well, we already talked about this, but I think it’s fascinating! I’m sure most everyone has a hallucination experience but they are hesitant to talk about them. But when they involve 8-point bucks, it’s no wonder–ha! This sounds like a very interesting read. Congrats on the article! It was an interesting book! I was surprised at how many people actually have hallucinations. It makes sense if you count the patterns people see if they have migraines or images seen under the influence of medication. It also makes sense that people are hesitant to admit it in fear they they will be seen as crazy.